The new PLUG&PLAY Russian ball by PLAY. 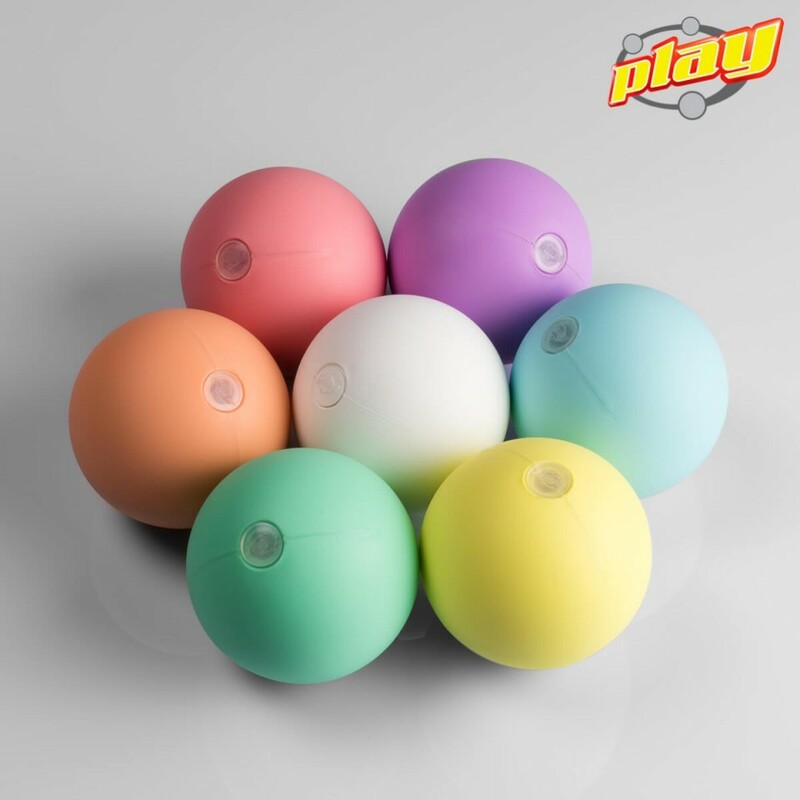 Now available in 8 pastel colors made of the same "SOFT TOUCH" plastic used for the PX4 handles. 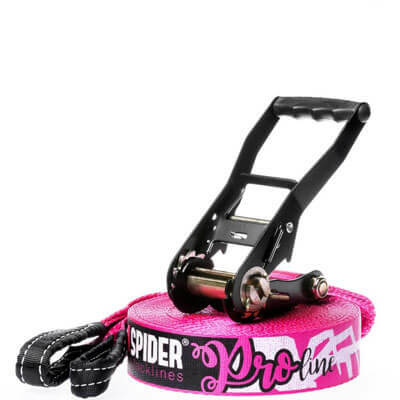 A much warmer and easy to control shell compared to the previous version. Available in 3 sizes. 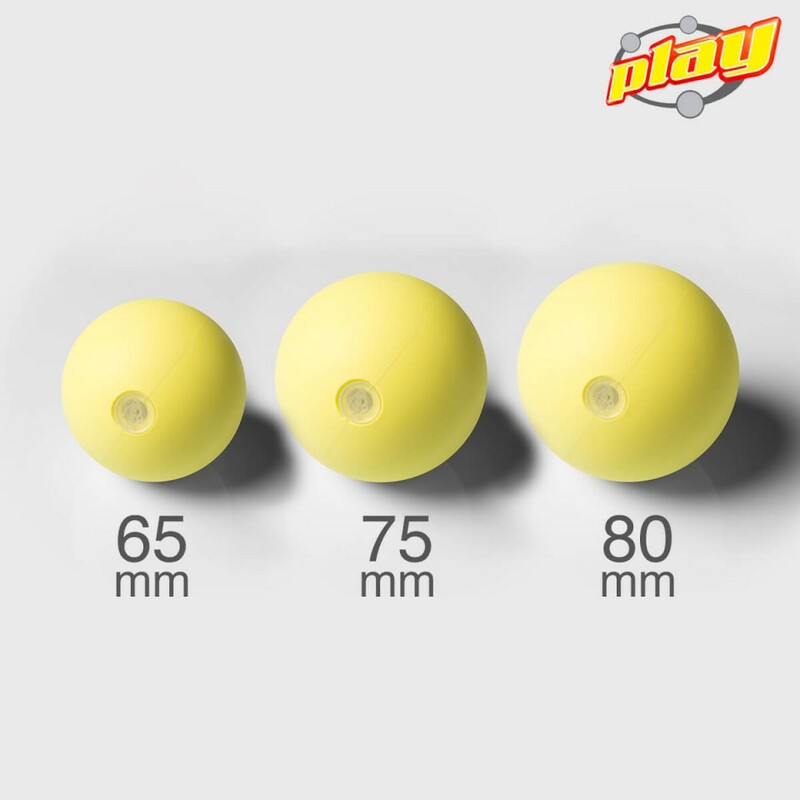 Following the requests of many professional jugglers we created a semi-hard plastic shell with a generous 8 mm hole for filling the ball very easily with sand, salt, flour and even seeds of pretty big dimension. A simple and smart design that allows to reach the desired weight and behavior of your balls which can be changed in a few seconds as many times as you want. 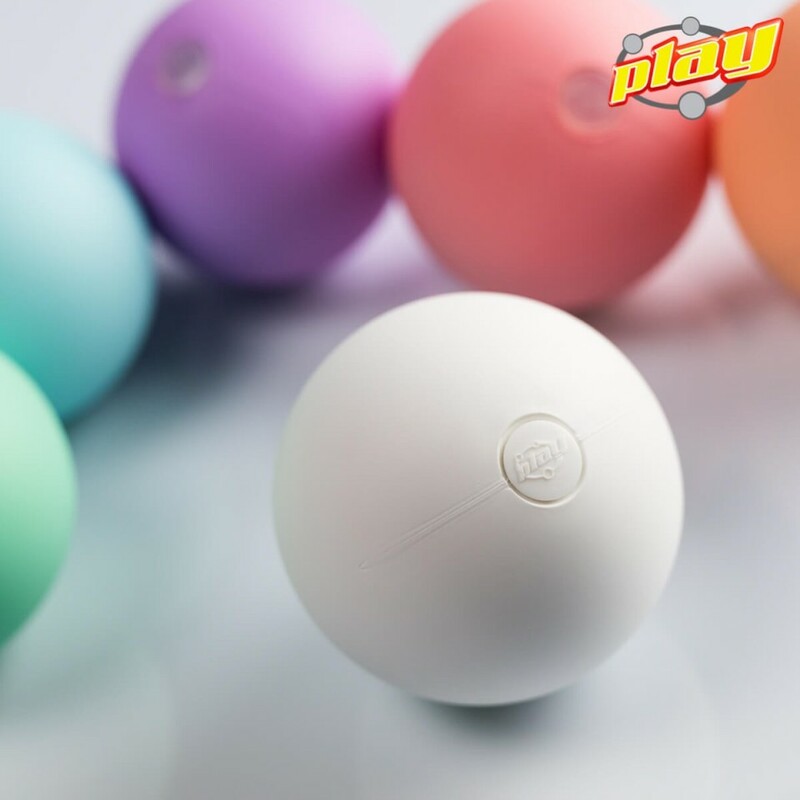 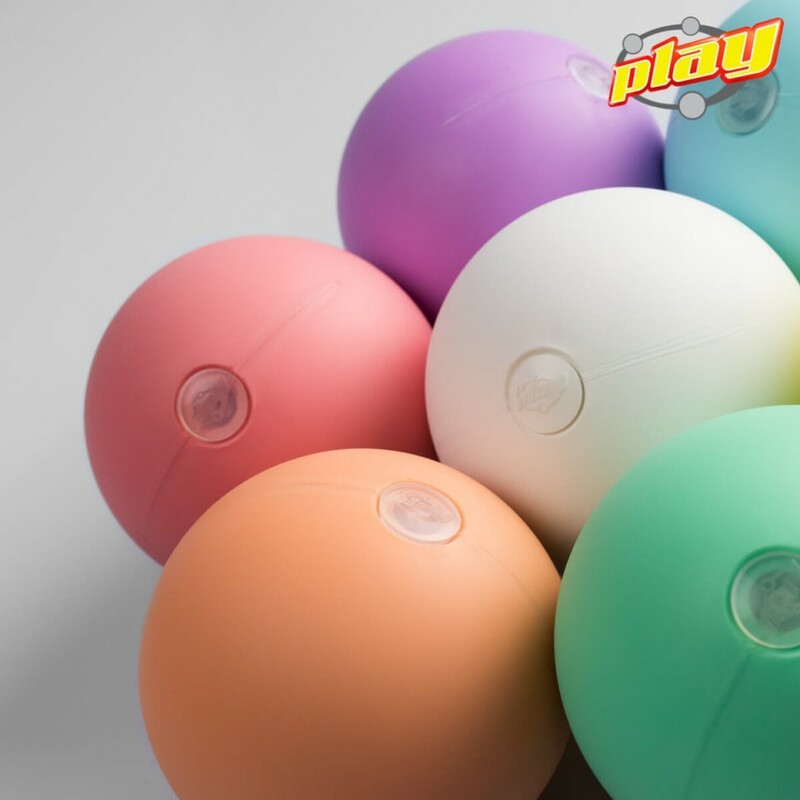 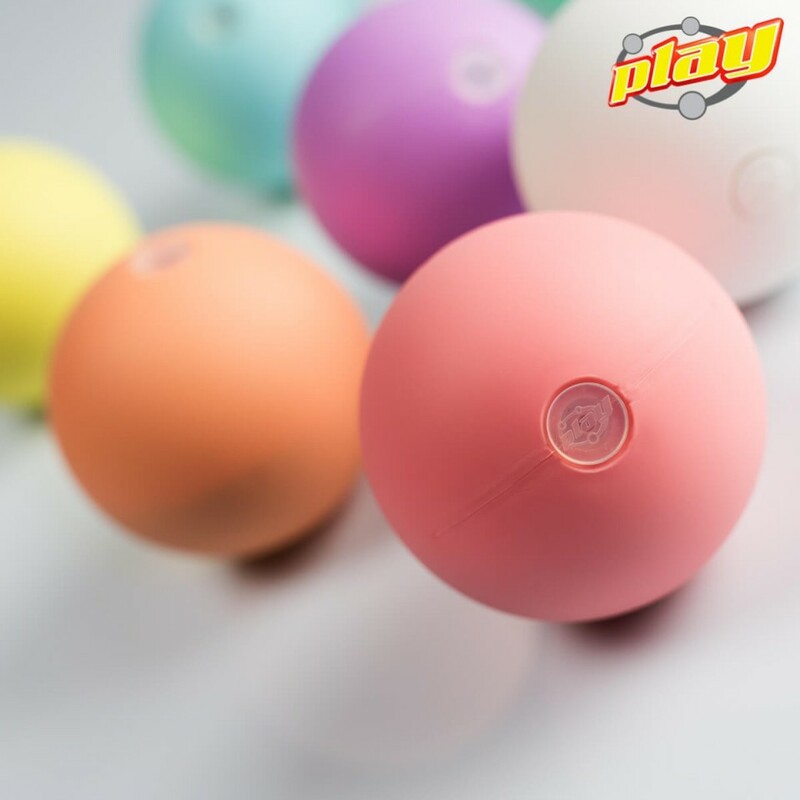 Each ball comes with a silicone plug to keep the contents safe and secure. 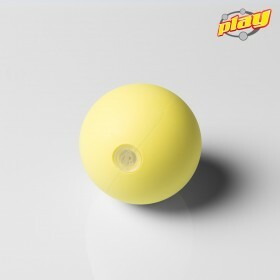 We propose 2 standard fillings, QUARTZ SAND (for the typical "Russian" effect) or MILLET SEED (for a smoother flight behavior).